The EaP PLUS final conference coincides with the overall celebrations for the 10th anniversary of the EU's Eastern Partnership, which was launched at the EU-EaP Prague Summit back in 2009. During 2019, an array of events across all thematic and policy related fields relevant to the Eastern Partnership will be organised both in the EU and in the EaP countries. The EaP PLUS final conference marks the higlight event in the field of research and innovation cooperation. During this event the major achievements of the EaP PLUS and of other projects involving one or more countries from the region will be presented, followed by a summary of the recommendations for the EU-EaP STI cooperation prepared by an expert team within the EaP PLUS consortium. The recommendations provide inputs to an open discussion among various stakeholders on the way to strengthen and sustain the bi-regional EU-EaP cooperation. A debate on the future of this cooperation under the upcoming Horizon Europe programme shall be initiated as well. The programme is rounded off with the introduction of selected beneficiaries of EaP PLUS' grant scheme and insights into the experiences learned from those countries already associated to the current Horizon 2020 programme (Armenia, Georgia, Moldova, Ukraine). 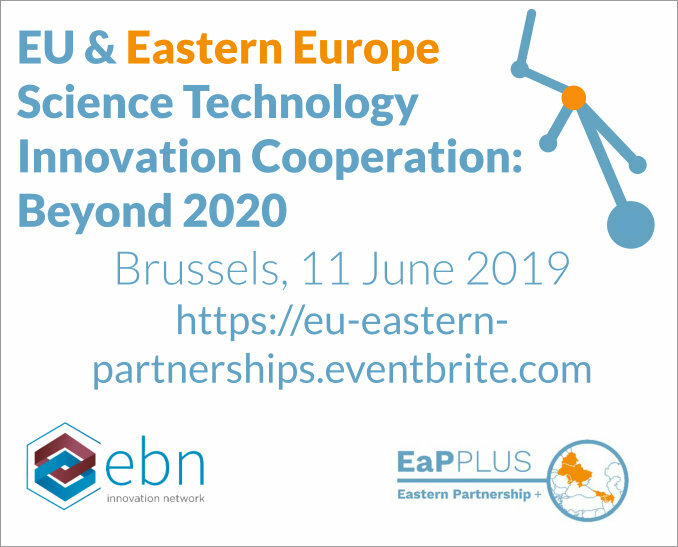 EaP PLUS Final Event: "EU & Eastern Europe Science Technology Innovation Cooperation: Beyond 2020"
For more information, please visit the final conference section on the EaP PLUS website or get in touch with Mr. Philipp Brugner, project manager for EaP PLUS. News: EaP PLUS final event taking place in Brussels on June 11, 2019!